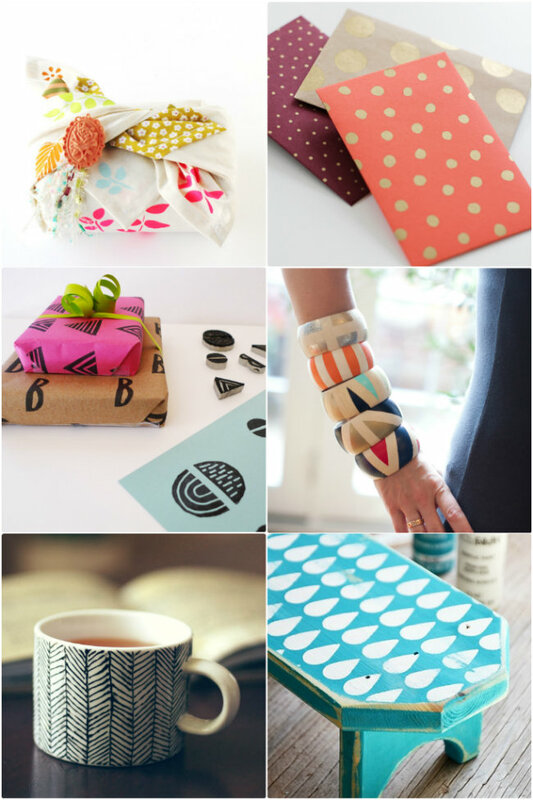 I'm loving print & pattern these days and these DIY ideas are a wonderful way to create your own patterned pieces. I don't play with paint too often, but I'm inspired to get painting/stamping/stencilling and craft something full of patterned fun! I don't like painting because even when I use stencils, I make a mess and somehow it never comes out looking like it's supposed to. But I really like some of the patterns in these pictures, especially the little bench in that last one. Very cute!